2018 brings the 10th anniversary of event production in Australia for Essential Events Management. 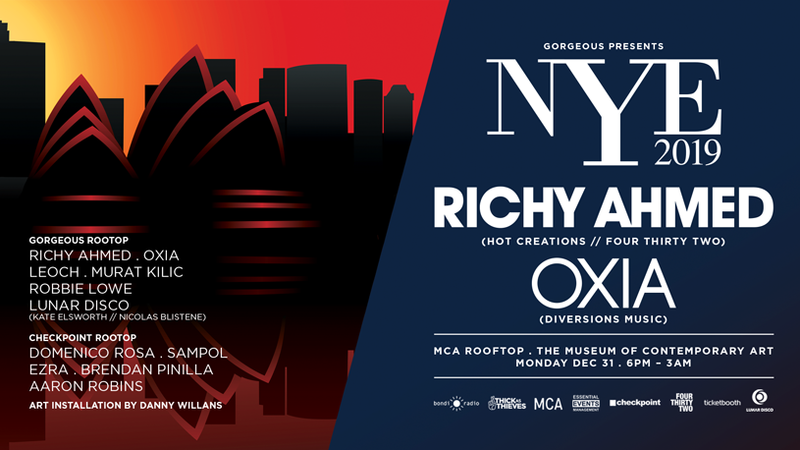 In 2008 we were Shipwrecked on Shark Island, today we soar above the rooftops with our spectacular NYE celebrations at the Museum of Contemporary Art. As well as presenting an awesome array of top international and Sydney based DJs, we’re very excited to be collaborating with Checkpoint, whose events in Barcelona and across Europe have proved to be inspirational. Add to that an art installation by Danny Willans, one of Sydney's finest up and coming artists, a visual installation by Eyebyte, and a phat sound system and it’s easy to see why this year’s production is an Essential Event not to be missed. FIRST RELEASE TICKETS ARE SOLD OUT! SECOND RELEASE TICKETS ARE SOLD OUT! © 2019 Ticketbooth on behalf of Essential Events Management. All sales are final. Tickets are non-refundable.